What styles and types of wrought iron tables are available in your collection? Wrought iron tables complete the decor of homes, cabins, cottages, apartments, offices and commercial establishments. With so many shapes, sizes, and styles available, you have the flexibility to find the perfect match. Many wrought iron table styles are inspired by the Old World, nature, and contemporary themes. Their durability and strength can withstand years of use with little maintenance. Each table will have the same luster and beauty generations from now. What materials are used to craft your wrought iron tables? Some of the table bases and frames are made from alternative metals which are labled on the product page. Why should I choose a wrought iron table instead of one made of wood? Wrought iron tables resist the deep scratches, indentations, and stains that wooden ones commonly receive. 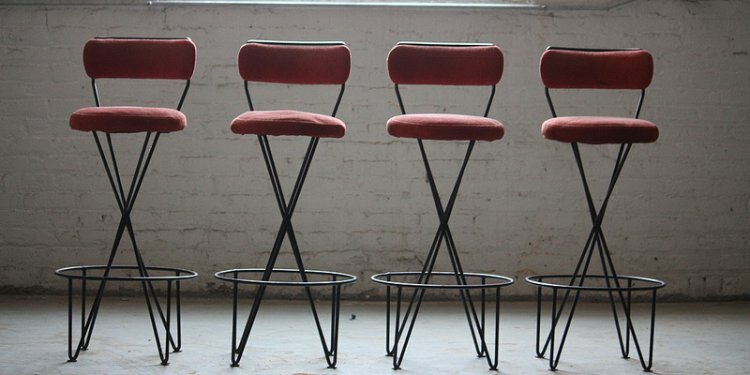 Most wrought iron table legs are thinner than wooden legs, offering a more airy and open look. Wrought iron is a more versatile material, allowing for scrolls, leaf patterns, and other unique features below the top. Wrought iron tables can easily switch out table tops, so you can have copper, wood or glass depending on your need. Since metal is darker than wood, you don’t have to worry about children or pets ruining the look. How do I care for a wrought iron table? Caring for your table is very simple the iron base is the simplest requiring only a dusting with a damp soft cloth, if you must you can use mild soap but dont use harsh chemicals to clean your iron table base and legs. When it comes to the table tops a simple mix of warm water and mild soap is your cleaning friend. You wont wreck a table top with that simple mix and it will do the trick. Some of the tops do require some regular maintenance like our wood tops which you will want to use a wood polish on to keep the new look and feel. Copper and Zinc will require a coating of paste wax to protect the surface. For more details on how to care for a copper table top please click here. Learn more about tables from these blog articles written by our expert designers. Explore interesting ways to use tables in in your interior spaces. From end tables to cocktail tables and more, we show you rooms that are made more beautiful and functional with all sorts of tables. View all of the article here.